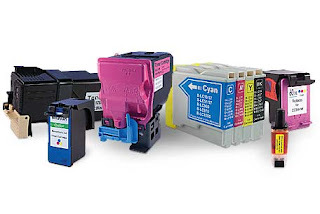 When buying ink, you basically have three choices: OEM, compatible, and remanufactured. OEM stands for original equipment manufacturer. These are the high priced inks that are made by the same company you bought your printer from. Next, you have compatible cartridges. Compatible ink and toner is manufactured by a third-party company, not the printer manufacturer. These compatible cartridges are made with your specific model and series in mind, but since they are not OEM, prices will drop dramatically. Finally, you have the choice of remanufactured cartridges. In the remanufacturing process, a third party company will take used cartridges and clean, test, repair and refill them to make another usable product. Remanufactured cartridges cost up to 80% less than OEM cartridges! But Do They Work As Well? You've heard the old saying, "If it's too good to be true, then it probably is." Well, that's not the case with remanufactured ink. If you find the right provider, remanufactured cartridges will produce the same high quality prints for a fraction of the cost. So how can you make sure you are ordering from a reputable site? Check out recent reviews, ratings, and customer testimonials online. High average scores will allow you to buy with confidence. Using remanufactured cartridges not only saves you a ton in printing costs, but it is also a great way to help the environment. When ink cartridges are thrown away, they end up in landfills. It takes up to 1,000 years for cartridges to decompose and at a rate of over 300 million cartridges a year, that's almost 400,000 tons worth of waste that will still be around for many generations to come. Contrary to popular belief, ink cartridges are not a single-use item. In fact, they can be refilled up to 15 times! So using remanufactured ink is a great option when you consider the environmental impact. There are many alternatives to paying the high price for OEM cartridges. However, even if you do decide OEM cartridges are the best choice for you, there are ink and toner recycling programs you can use to help cut the yearly amount of waste. To help save the environment AND save you money, remanufactured is the way to go!